Commissioner Penny Taylor, Councilman Reg Buxton, Rep. Bob Rommel. 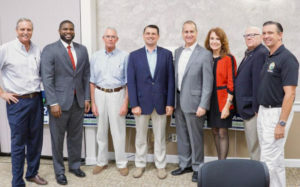 Rep. Diaz-Balart was instrumental in bringing the restoration project to the attention of his federal constituents, and recently co-sponsored H.R. 2691 “Everglades for the Next Generation,” which would give authorization to the Army Corps of Engineers to carry out 1) any project identified in the plan for which a project implementation report is completed, and 2) any group of projects under the plan that the Corps determines will provide regional or watershed ecosystem or water supply benefits. Congressman Rooney who, along with Rep. Diaz-Balart, recently voted to support the Water Resources Development Act of 2018 (WRDA), a bill that allows the Army Corps of Engineers to conduct projects improving water infrastructure and repairs as part of the Everglades Restoration and Herbert Hoover Dike projects, discussed several key Florida water projects that are already showing signs of water quality improvement like the re-channelization of the Kissimmee River. He also added that there is some growing interest in the exploration of whether boulder layer wells could provide waste water solutions. 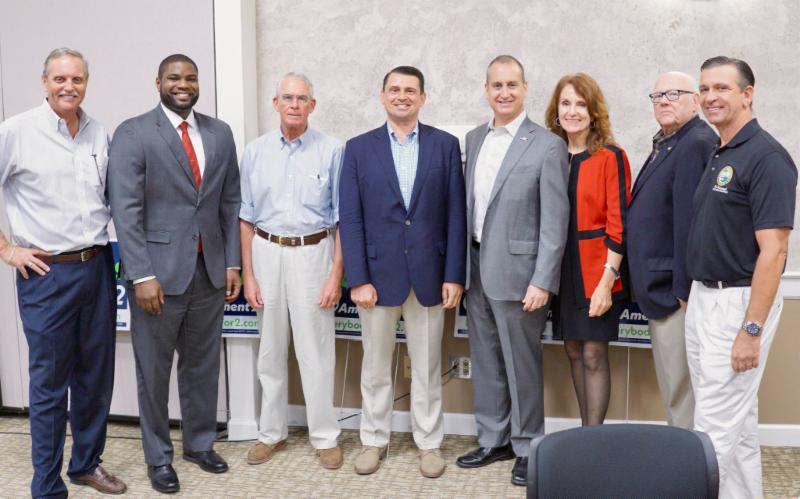 Rep. Diaz-Balart went on to commend Rep. Rooney on his initiative to identify and bring fellow lawmakers to Florida where he provides tours so they can see the water quality issues first hand and understand the breadth of Florida’s situation. “Many of our colleagues own second homes in Florida so they already have a vested interest as property owners,” said Rep. Rooney. “Our work in Washington is to continue to advocate for funding to protect Florida’s environment and economy,” said Rep. Diaz-Balart. NABOR®’s Water Quality Advisory Task Force will continue to be a presence at community and policy meetings where water quality is on the agenda. A second Water Quality Advisory newsletter will be distributed in October outlining water quality progress in Southwest Florida.